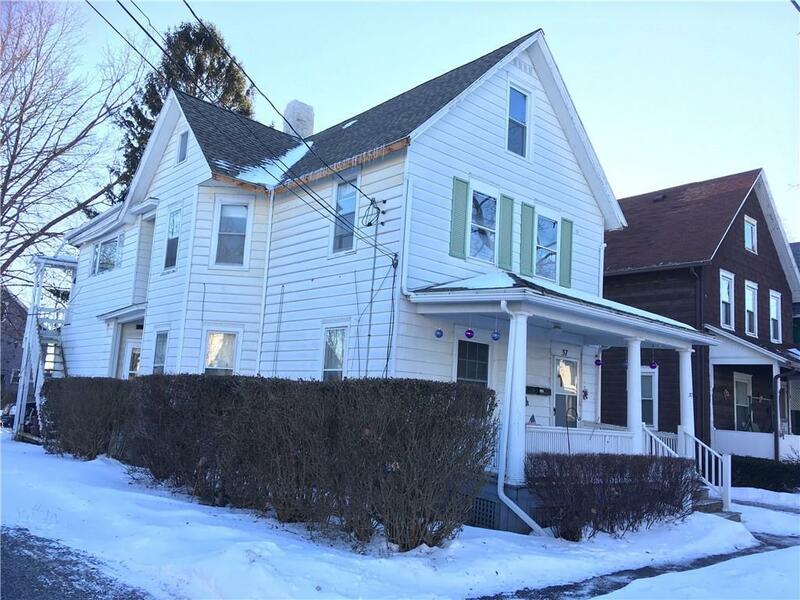 37 Lafayette Avenue, Geneva, NY.| MLS# R1170823 | Coldwell Banker Finger Lakes | 315-789-6768 | Geneva NY Homes for Sale, FINGER LAKES PROPERTIES, Seneca Lake, Cayuga Lake, All of the Finger Lakes. This spacious duplex has great income potential. Each unit has 2 possible bedrooms. Spacious kitchens and lots of windows. Second floor currently vacant and has updated kitchen and bath and brand new wall to wall carpet. First floor is occupied by stable, long term tenant on month to month lease. Washer/dryer hook ups in first floor common area currently used by tenant. Separate electric and gas for each unit are paid by tenants. Water/sewer is paid by owner and averages ~$300/quarter. Newer water heaters and roof approximately 4 years old. Parking area in rear can accommodate 4 vehicles. Convenient location near public park and downtown. Great potential for income and/or owner occupied. Directions To Property: From Downtown Geneva, Head North On Genesee Street. Turn Left On Lafayette Ave. Home Is On Left With Sign. Nearest Cross Street: N. Main St.